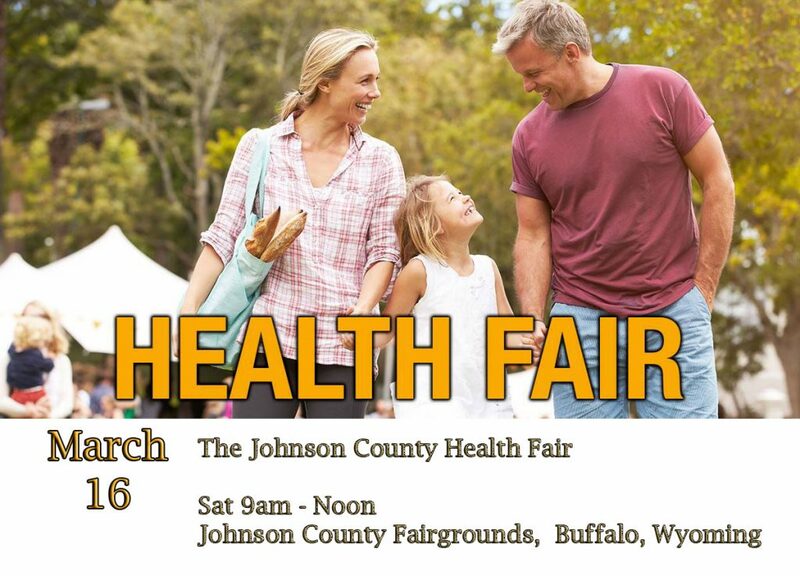 The 2019 Health Fair will be held on March 16 from 9 am - noon at the Johnson County Fairgrounds. There will be hands on demonstrations, booths with health information for you and you can get a paper copy of your blood screening results. As concern over the cost of healthcare grows, affordable health screenings are more important than ever … whether to monitor an on-going condition, detect a problem early, or provide assurance that your health is good. It’s a simple yet effective way for you to take an active part in your own wellness. WHF began providing low-cost blood screenings 30 years ago. Today they serve over 65,000 people each year with locations in Casper, Cheyenne, Laramie, Torrington and Scottsbluff, Nebraska. They also travel throughout the United States for many corporate clients. But they don’t stop with blood screenings. WHF also offers comprehensive Wellness Programs, including Wellness Challenges and Coaching, to communities and businesses. In healthcare, the old saying “An ounce of prevention is worth a pound of cure” turns out to be good advice. WHF is committed to using experience and knowledge to refine and improve wellness programs, and to making those programs readily available throughout the markets we serve. Don’t Know How to Find Your Health Fair Test Results?